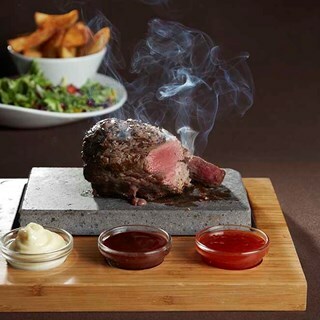 The Firepit is a modern British cuisine, with a wide range of dishes, our house specialty is our hand selected meets cooked on our sizzling steak stones. Thank you for the actual shot of fire for my friends birthday. She had a fab time. 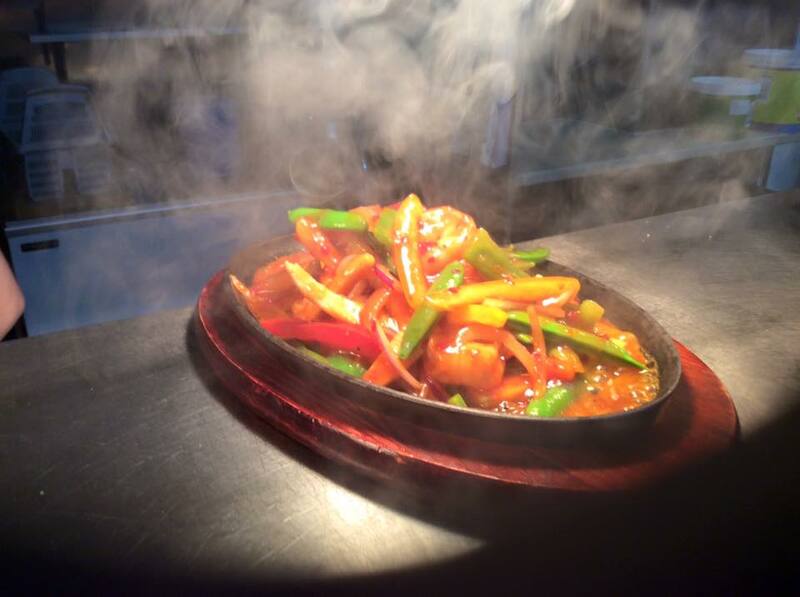 Great food, really good value for money will definitely come back. We booked after looking on line and was looking at the brunch menu. But was told that you no longer did that anymore. Myself and my wife had picked what we want off that,and Wes very disappointed to be told it wasn’t available. We had the Sunday lunch in the end which was very good but not what we’d looked forward to. A great concept, but as it was our first time there, we need to be told to put the chips container on the table to leave space for the steak in the plate provided. My steak was already a bit overcooked by the time we worked that out. A great meal though and we will be sure to come back! Very friendly staff, good food & good vibes will definitely return! Excellent attentive service and knowledgeable staff. Food was delicious. 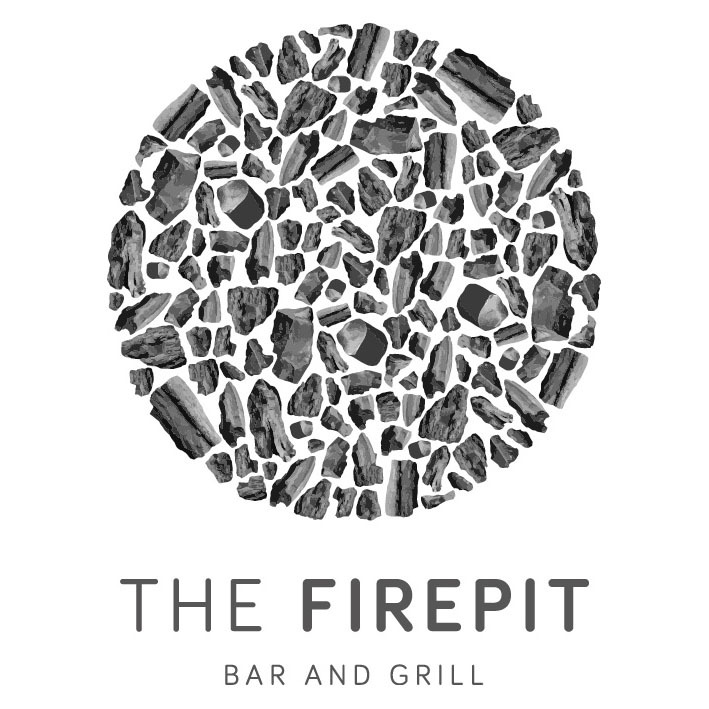 Great time, great staff, quite smokey but obviously that is due to the stone steaks which can’t be helped! 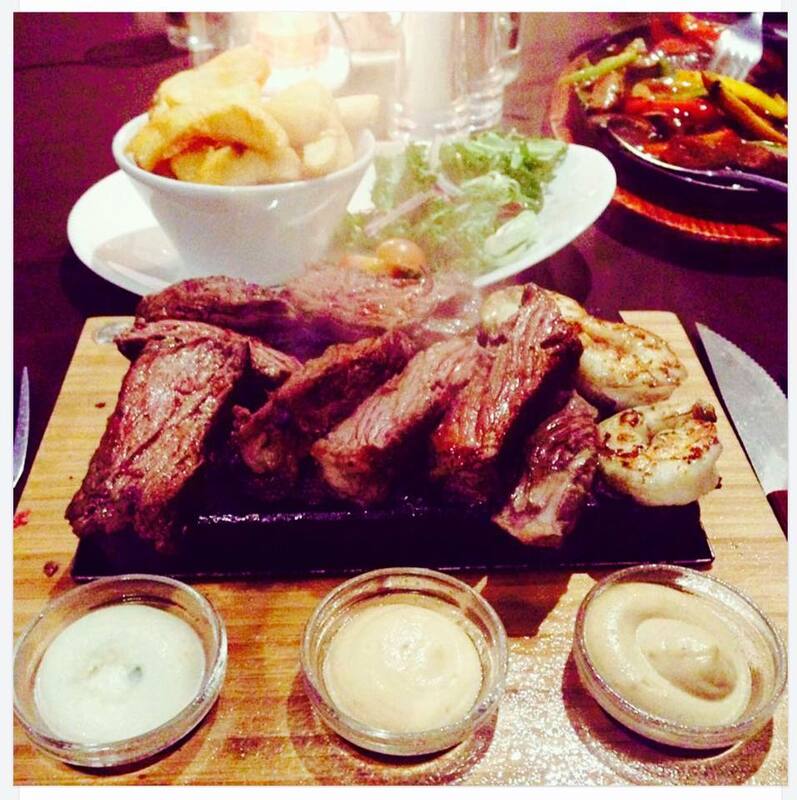 The food was good but we had the T bone on the stone and by the time you where half way through eating the steak was very well done as the stone seemed to be extra hot mean the steak was burning your mouth as you are eating it. Was also disappointed that the peppercorn sauce was an extra but was well worth it in the end. The waiter way very attentive. Fantastic food and service as always. Our favourite place to go. Me and my girlfriend had a fantastic meal, with great service from David and Nat. Definitely not the last time we will be here, thanks guys! Dave was an excellent host on the evening while working front of house on his own. Food amazing, staff really friendly but we seemed to be forgotten about when we first arrived and had to track someone down to order drinks after about 25 mins. Once they’d realised we were there though they couldn’t do enough. Can’t comment too much on the atmosphere as we were tucked away were there were only a few tables (us and one other family) and a curtain that meant we couldn’t see the rest of the restaurant. That being said it didn’t put us off in any way and we very much enjoyed the whole thing, food was especially lovely. The only real negative is that we left absolutely stinking of smoke/fried food so perhaps not the place to go before a night out but we both thoroughly enjoyed our meal. Was a good experience overall however we waited an uncomfortably long amount of time to order a drink so we ended up ordering them both at the same time. Would have been nice to have had one while looking at the food menu. It was also difficult to get anyones attention when we wanted a second drink. Service definitely needs worked on but the food was great. What an incredible dining experience. It's off the beaten track, but only 2 minutes from the main town center. It is well worth finding. 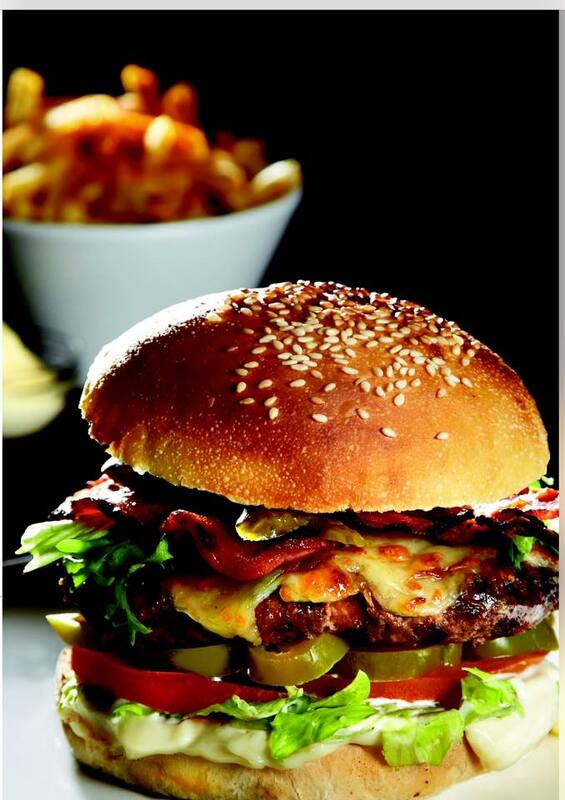 The staff was all amazing, they really understand that eating out is not just about the food, but about the experience. The manager is a credit to the company. What a guy. Great humor, fantastic to talk to regarding everything they serve, full of energy. The food is amazing and so cheep for the quality. 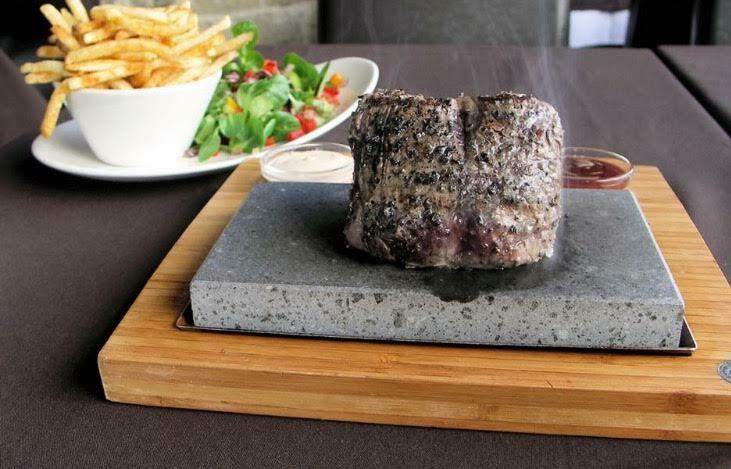 I would strongly recommend the steak on the stone. It's such a shame I don't live nearer ! Staff were fabulous - especially Dave.